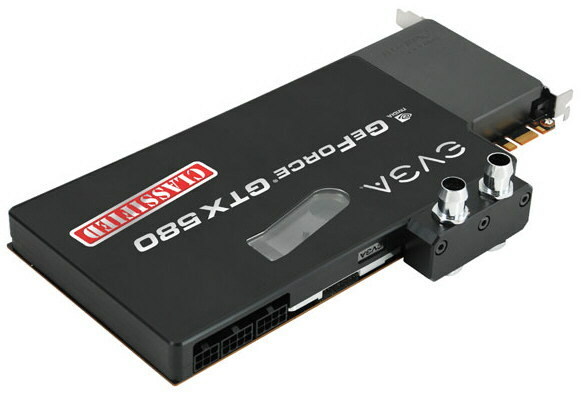 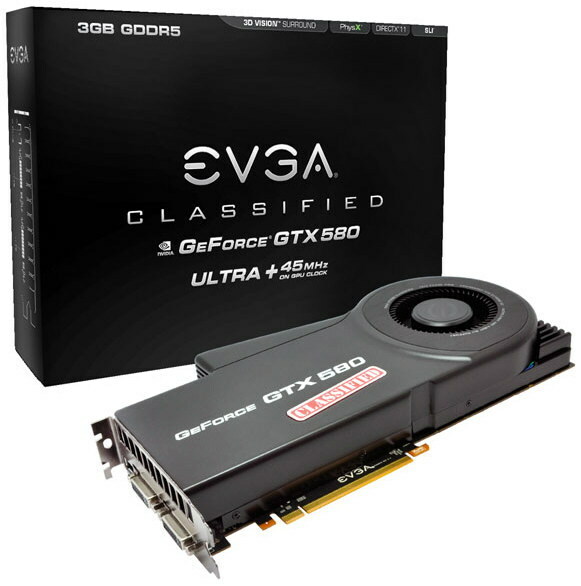 To spice up the holidays of Nvidia fans, EVGA has developed a couple of ‘new’ GeForce GTX 580 Classified cards, two ‘Ultra’ models which come with GPU/shader/memory clocks of 900/1800/4212 MHz (previously-released GTX 580 Classified cards topped out at 855/1710/4212 MHz). 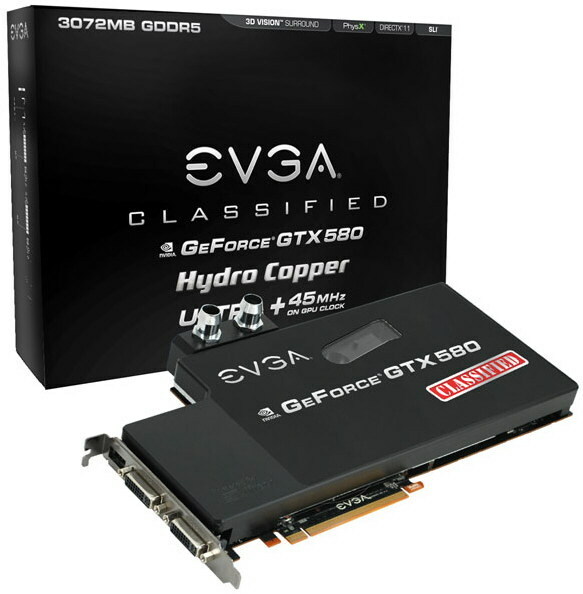 Beside the ultra-high clocks mentioned, EVGA’s latest offerings feature 512 CUDA Cores, a 384-bit memory interface, 3 GB of GDDR5 memory, 4-way SLI and EVBot support, a custom PCB, a 14+3 phase power design, one NEC Proadlizer, Super Low ESR SP-Cap capacitors, and high frequency 3 MHz shielded inductors. 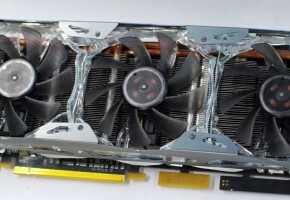 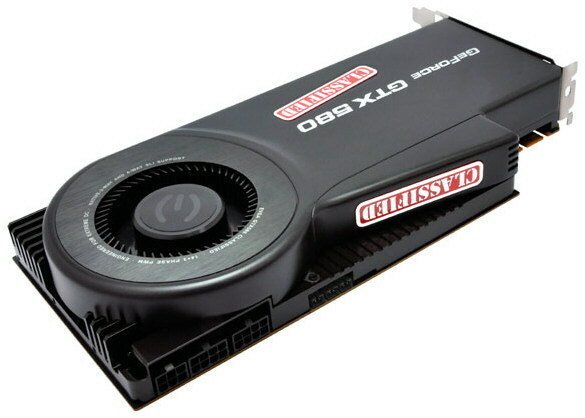 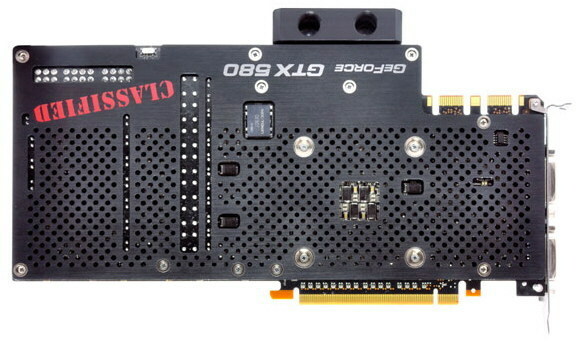 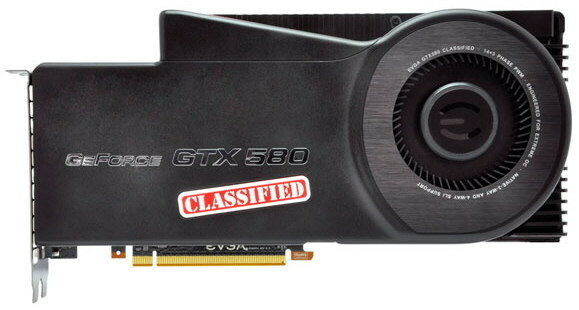 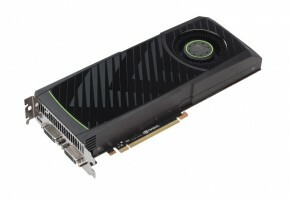 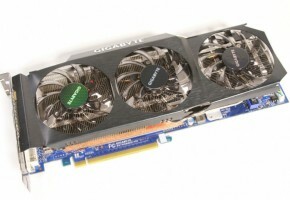 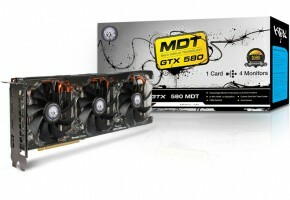 The air-cooled GeForce GTX 580 Classified Ultra costs $619.99 while the water-cooled GeForce GTX 580 Classified Ultra Hydro Copper has a price tag of $749.99. 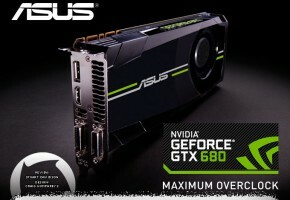 Neither card is shipping yet but hopefully they will become available very soon.